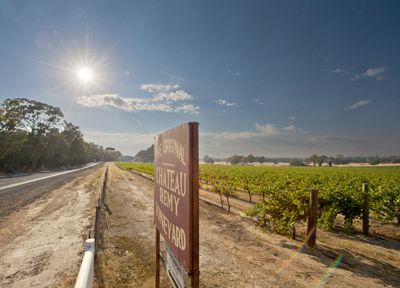 Blue Pyrenees—then called Chateau Remy—was established in Western Victoria in 1963 by Remy Martin. Remy Martin was committed to discovering the superb sparkling wine potential of the world’s cool climate wine regions and subsequently became the force behind Champagne Houses Krug and Charles Heidsieck. Blue Pyrenees Estate was among the modern Australian wine industry’s first ventures into cool climate viticulture. Ample amounts of sunshine ensure our grapes ripen to full maturity with the heat moderated by altitude vineyards and southerly ocean winds. The climate is warm enough to give concentration and power, yet cool enough to give vibrancy and elegance, resulting in remarkable wines from Cabernet Sauvignon, Shiraz, Merlot, Chardonnay and Sauvignon Blanc. The Cellar Door at Blue Pyrenees Estate is open 7 days a week, offering tastings of the complete range of world-class wines—including the World Champion Sparkling, Midnight Cuvee—as well as a superb setting in which to relax and enjoy them.